If you are importing for the first time or you whether regularly import your product, freight charges are usually a major part of your costing and it is vital for all import businesses to review their freight needs and adopt best possible freight options to optimise cost hence turn smart and effective logistics into a competitive edge and increase the profitability of your business. Kindly read the brief introduction below for some of the most important points and we strongly believe that by taking right steps you can buy your first or next order at a reduced cost. 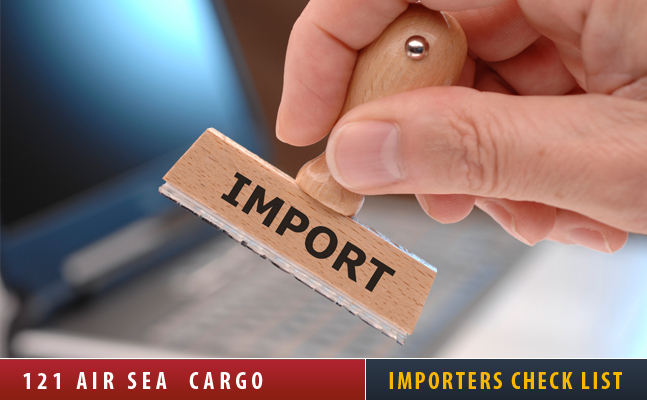 Incoterms are very important to decide with your supplier at the time of any purchase. We advise you to consider buying your first or next shipment on Free on Board (FOB) Terms. This is the most cost effective option to buy any product. Get in touch and we will confirm to you precise and most competitive shipping cost on FOB basis. We strongly suggest you look at costs on FOB basis, so that not only you are fully aware of the charges for the shipment in advance, you can also conduct a cost comparison analysis based on FOB vs. any previous arrangements you may have had with your supplier. By having this approach one can ensure that there are no unexpected charges which is not uncommon. Please consider custom commodity codes, payable duty and VAT on your commodity codes for the costing. If you have the purchase order for your shipment from supplier, please check if the payment terms are same as you have agreed with the supplier however if the purchase order is not available, you should ask for one from the supplier. Please contact your freight forwarder in UK prior to any shipment and give your forwarder’s details to your supplier. It is normally same as your company name . Please check if you have an EORI number, if you don’t have one then please click on the link below to apply. Please give delivery instructions to your forwarder and also explain about any special requirement that you may have. Please contact us if you need any further information a designated member of our import team will assist you for any query.